Taylor Ham is a type of breakfast meat commonly available in and around New Jersey and Philadelphia. The product, as it is made today, was developed in 1856 by John Taylor of Trenton, New Jersey. 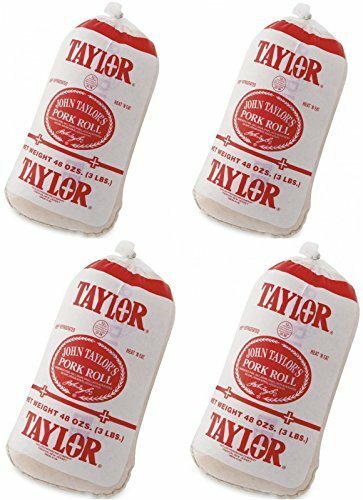 8 individual pre-sliced packages of Taylor Pork Roll Ham. Delicious breakfast meat served with eggs or eat it like you're on the boardwalk, on a roll with cheese. Pork Roll is only found in and around the New Jersey Area. Pork Roll is pre-cooked, hickory smoked and salt cured. Enjoy it on the side of some sunny side up eggs or on a roll with egg and cheese. Delicious! Made since 1856, it is a main staple of diners, kitchens, holiday tables and boardwalks in and around the Garden State. 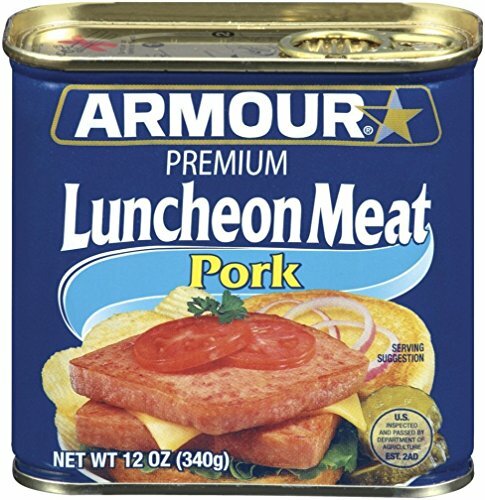 We ship you an entire 6 pounds (cut into two 3 pound pieces and vacuum sealed for a long freezer life) of Pork Roll. Keep some out for immediate use and freeze the rest for those future urges. 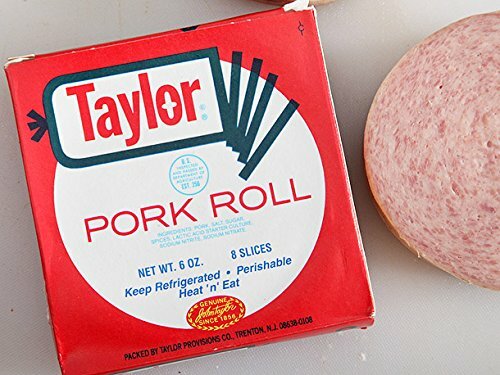 Taylor Pork Roll is shipped frozen. A Philly favorite!!! 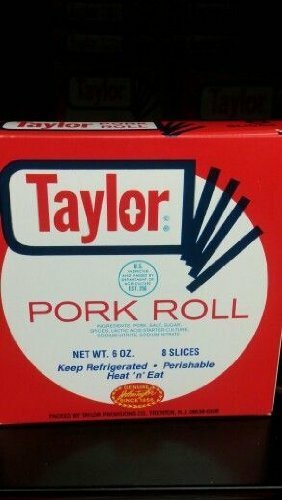 Try 4 packs of Taylor Pork and 4 packs of Habbersett scrapple today. 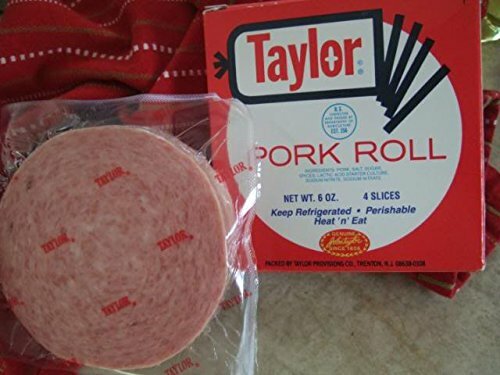 Taylor Ham is a type of breakfast meat commonly available in and around New Jersey and select areas of Philadelphia. The product, as it is made today, was developed in 1856 by John Taylor of Trenton, New Jersey. Habbersett Scrapple has been Philadelphia's Favorite since 1863. It is cooked in cast iron kettles for the old-fashioned flavor that made Habbersett famous! 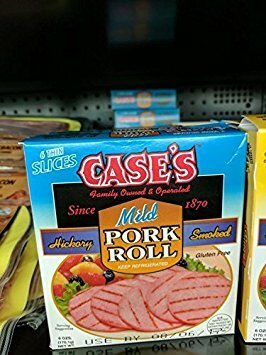 An 8 pack of this delicious pork roll product from Case's! 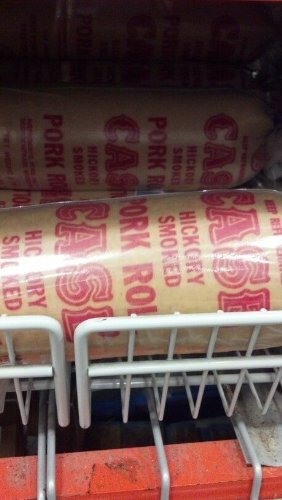 Case's Pork Roll is a favorite meat product from New Jersey. 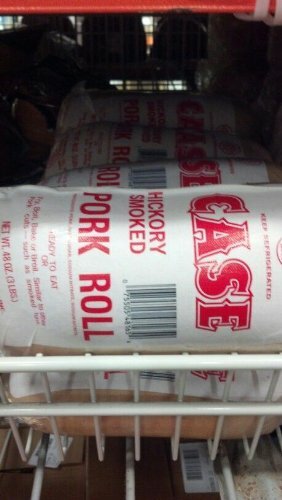 It has been over 140 years since Case's old-fashioned, hickory-smoked pork roll became a favorite meat product in New Jersey homes. The same secret seasoning is used today, plus modern processes of tendering, filtered smoking and flavor-sealing. Pork roll, egg, and cheese is the official state sandwich of New Jersey. Unique to the state, pork roll has been a staple of New Jersey diets since 1856. This shirt, featuring a distressed retro design, is a must have for anyone that calls New Jersey their home. 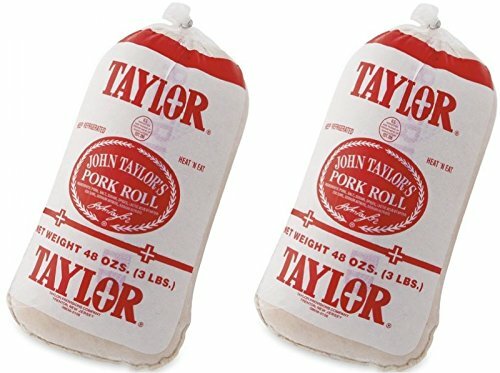 12 Pounds of Taylor Pork Roll Ham shipped as Four 3 Pound Rolls. Pork Roll is a New Jersey breakfast staple. Pork Roll is pre-cooked, hickory smoked and salt cured. Enjoy it on the side of some sunny side up eggs or on a roll with egg and cheese for a delicious sandwich. 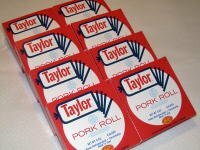 12 individual packages of 6 Ounce Pre-Sliced Taylor Pork Roll or Taylor Ham depending on where you're from. Perfect breakfast meat to go with your eggs or put it on a roll with some cheese for that being on the boardwalk feeling. The ultimate tribute to the mid-Atlantic region's favorite treat, with more than 50 tantalizing recipes featuring pork roll!This book is a celebration of Pork Roll, the pork-based treat originating and commonly available in New Jersey and Philadelphia. It was developed in 1856 by John Taylor of Trenton, New Jersey. The Pork Roll Cookbook explores the world of pork roll and its history, and features more than 50 dishes made with this unique regional delicacy! Pork roll is typically eaten as part of a sandwich, with popular condiments including salt, pepper, ketchup, mustard, hot sauce, lettuce, and tomato, and it’s often enjoyed as a popular breakfast sandwich known in the region as a "Jersey Breakfast,” or "Pork Roll, Egg, and Cheese,” in which fried pork roll is topped with a fried egg and American cheese and served on a hard roll or bagel. However, today, pork roll is branching out! 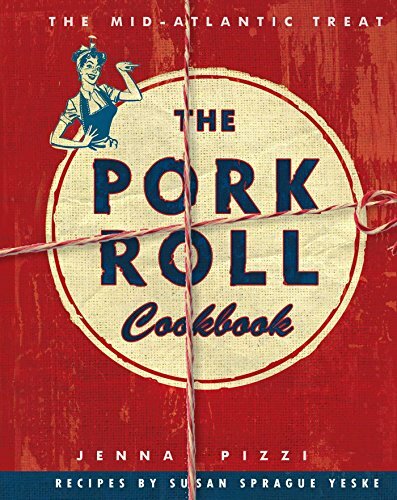 The Pork Roll Cookbook features such wonderful recipes as Pork Roll Hawaiian Pizza and Pork Roll Jambalaya, as well as tantalizing Pork Roll recipes from popular mid-Atlantic restaurants, and so much more! A family tradition of quality since 1895. Pre-sliced. Fully cooked. U.S. Inspected and passed by Department of Agriculture. Hatfield's family favorites. 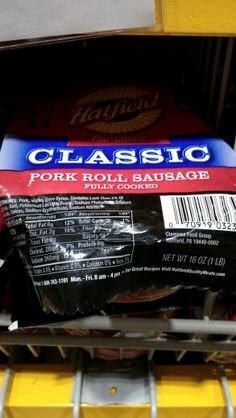 Try a 2 pack of this top rate pork roll product by Case brand. Great for breakfast or as a sandwich meat! 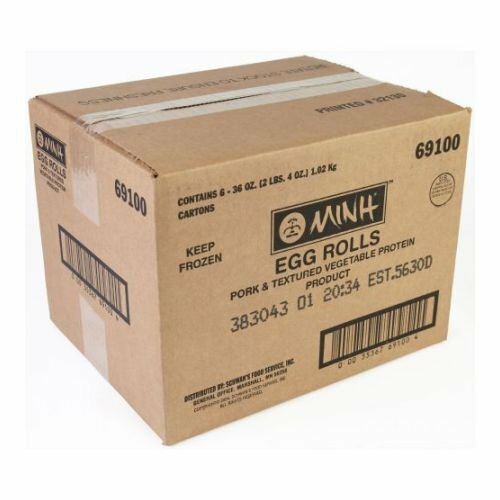 Schwans Minh Pork and Vegetable Egg Roll, 3 Ounce -- 72 per case. 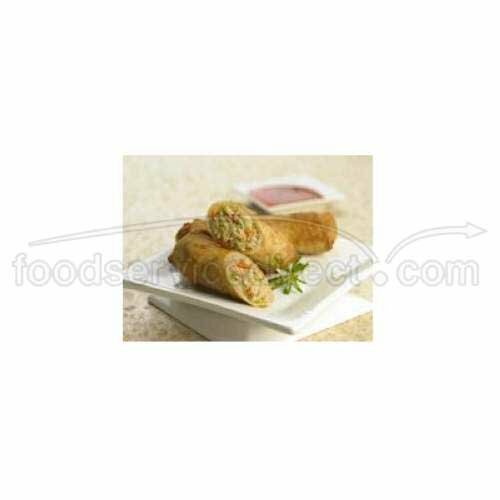 Whet your customers appetites with these delicious egg rolls and watch them come back for more. Lean, cut pork is mixed with farm-fresh chopped carrots, sliced celery, shredded cabbage, mild onions and authentic spices, then rolled in our own traditional egg roll wrapper. From .8 oz to 3oz, Minh has an egg roll for various menu applications and price points. All Minh egg rolls are pre-cooked for food safety and can be deep fried, convection heated or baked for convenience. Contains MSG. A Philly favorite!!! 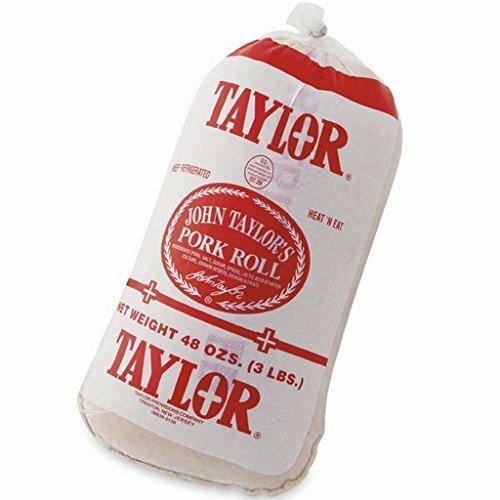 Try 4 packs of Taylor Pork and 4 packs of RAPA scrapple today. 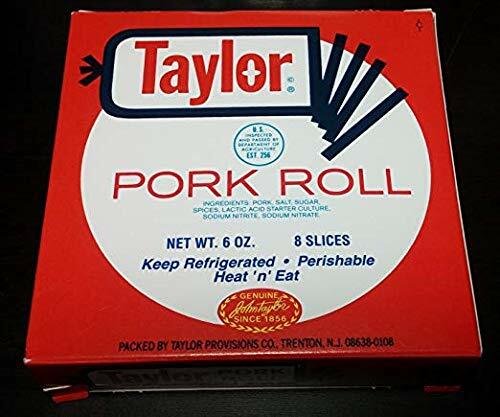 Taylor Ham is a type of breakfast meat commonly available in and around New Jersey and select areas of Philadelphia. The product, as it is made today, was developed in 1856 by John Taylor of Trenton, New Jersey. RAPA Scrapple has been Philadelphia Favorite. 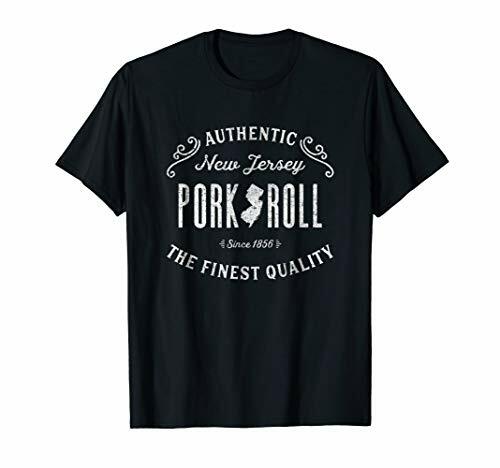 New Jersey Pork Roll Shirt for breakfast sandwich lovers. 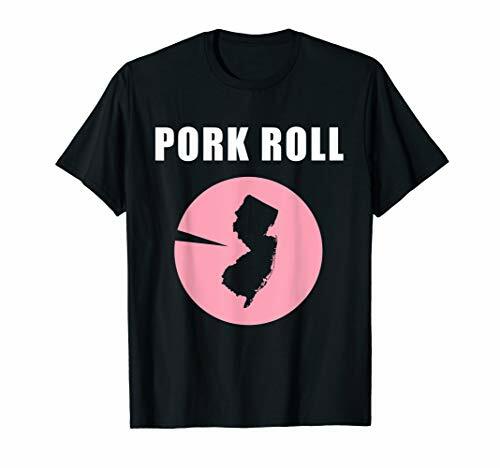 NJ Pork Roll Egg and Cheese Sandwich t-shirt. Features an NJ shape circular logo. 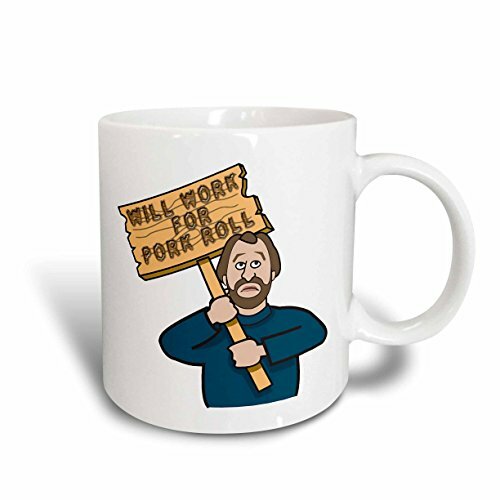 Funny humorous man guy with a sign will work for pork roll mug is available in both 11 oz. And 15 oz. Why drink out of an ordinary mug when a custom printed mug is so much cooler? this ceramic mug is lead free, microwave safe and FDA approved. Image is printed on both sides. Hand washing is recommended. 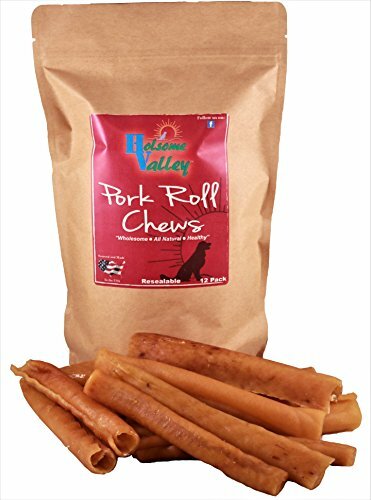 Compare prices on Pork Roll at Elevelist.com – use promo codes and coupons for best offers and deals. We work hard to get you amazing deals and collect all avail hot offers online and represent it in one place for the customers. Now our visitors can leverage benefits of big brands and heavy discounts available for that day and for famous brands.